Humanity is lacking the will necessary to break free from its enslavement. The delay to commence transition is as manmade as the recent hurricanes. We know this because there is no RV--yet--and back screen rates don't manifest any mercy. There are no arrests or shame applications to evil doers--Donald Trump, John McCain and Lindsey Graham cannot speak for America any longer. Their existence in public life shames us all. There is no public announcement of an organized cabal--and to keep this truth unannounced is continued deceit in finance, government, military, science, education, diplomacy, energy and media simply doesn't accelerate human ascension--in fact it's now our "liberators" holding us hostage. There is no restored Republic government--negotiating secrete treaties via secrete Congressmen, Presidents and Supreme Court justices because its still unknown. This fear dominates this entity not love. Even the Elders are still hiding their own meticulous existence and reserved wealth keeping for humanity all in the shadows of history while chaos is allowed to take constant center stage. The whole "alien conspiracy" too is an entirely additional and vital matter--which many now know is tied into everything stated openly and publicly above. At some point now dear benevolents... ya gotta tell our species of our captivity and our divinity. That's why you are allowed to exist by divine covenant with Yeshua Ben Yosef. Some is not all. All is all. And all is our birthright just as it is yours. We are One remember? 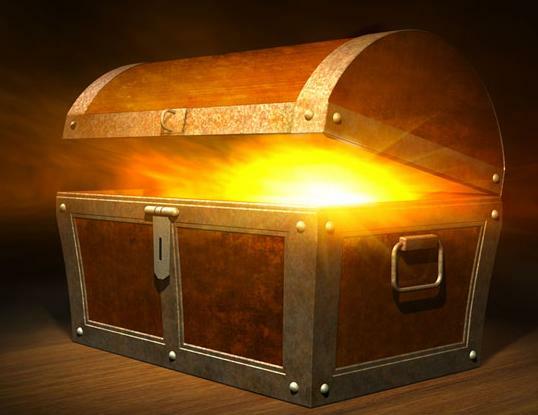 It is your place in the cosmic order of all affairs to deliver our freedom as universal law demands it so--do the right thing and release the Pandora's Box holding God's Will. It is no longer yours to keep, but ours to flourish and thrive. Only life equals life. And only death equals death. All must choose to willfully follow God's Will or their own inclinations. And this includes the ancient races of human beings and benevolent inner earth and extra terrestrial species assisting mankind's ascension. Because until we together walks proudly into the light of he truth, together we shall all remain cowering in fear filled darkness that is inaction. And this I know is not God's Will. So do you. Release Heavenly Father's blessing now in the name and blood of Christ... and turn over to us our shared and whole truth and nothing but our truth so help us God. We cry this unified claim of sovereignty as One humble voice in service of Abba, so He may alone will override your tepid desires, and the human mercy movement may commence and continue perpetually no matter the collateral damage initially incurred. Sobeit. Please join the Mercy Movement at theclarioncalls.com by submitting your email and encouraging others seeking the white light of heaven to do the same. Markets open tomorrow at 9am EST. Before that at 7:27am EST Mercury goes direct and the earth starts to come out of retrograde. Everything happening right now syncs up with this astrological event. Including Hurricane Irma which has slowed down ironically as it gets bigger and is delaying itself. Florida has already declared a state of emergency--and it's a week out--that the raw powerful of Hurricane Irma. 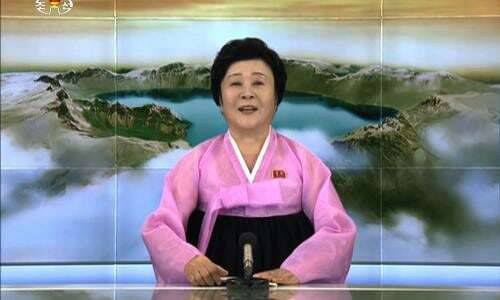 Also North Korea is about ready to announce the end of the world. You think I'm kidding, check out what this Mossad agent is saying, who ironically is also the only newscaster in North Korea affectionately called The Pink Lady. Remember it was always stated here that the more chaotic things became the closer we were to pay dirt. Well, if this isn't pure unadulterated chaos ... then I'm deaf, dumb and blind. I'm sure the remaining Trump supporters in currency world would conquer no matter. To them I say ... orange is the new (im)peach(ment).